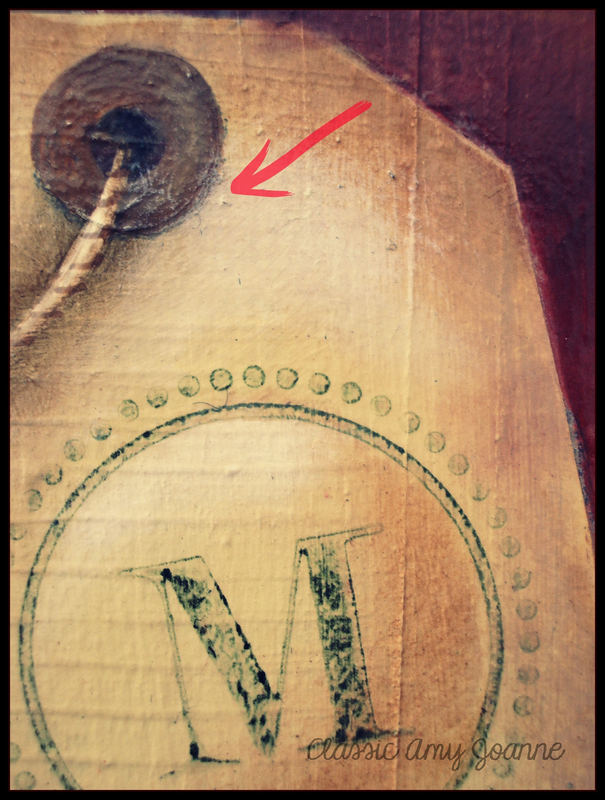 Whether it is creating my creative business or designing a painting, I love details! If you notice on my booth display the colors are similar, along with my branding, even the font I use is the same. 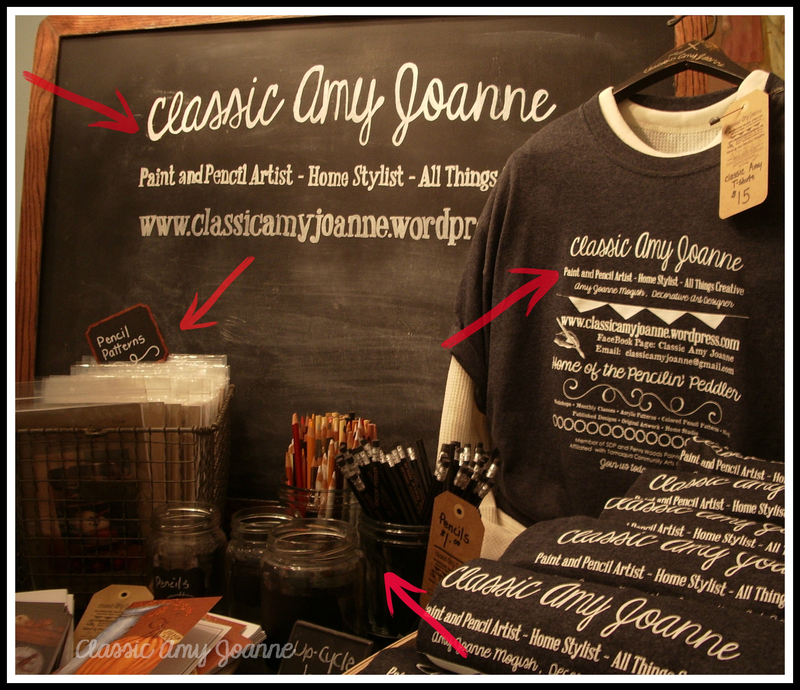 Have you noticed my Blog has the same vintage feel ? Details…. 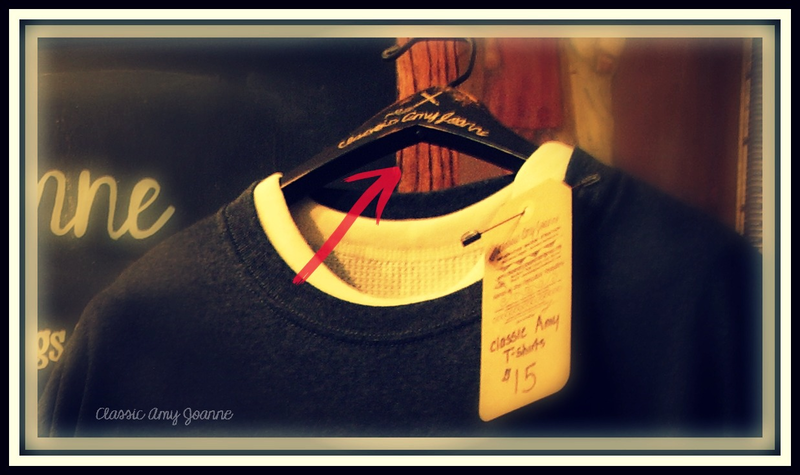 Right down to the hand painted vintage wooden hanger….yep, details…. 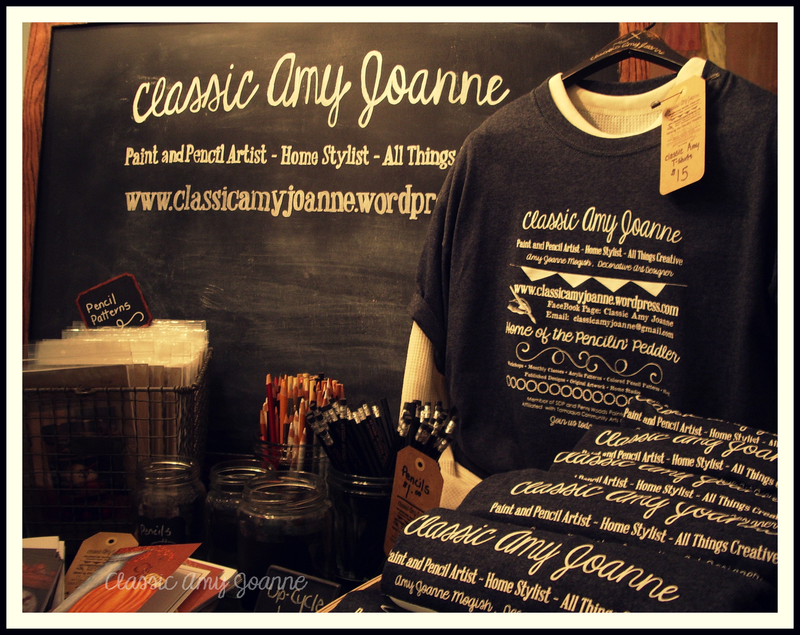 Everything….. the small chalk board matches the large display chalk board, which matches the t-shirt, which matches the pencils…. 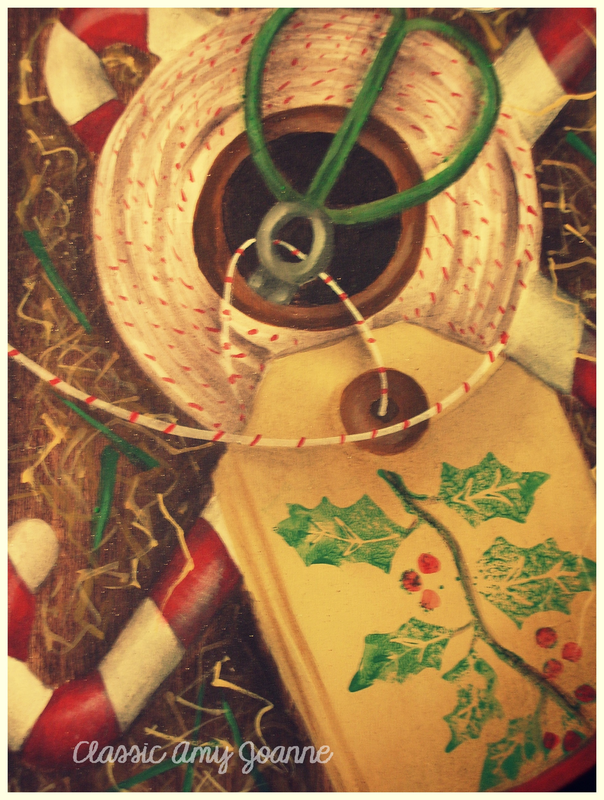 Notice the strings, it even has cross-hatching, look at the pine needles laying in the straw. Yep, details…. 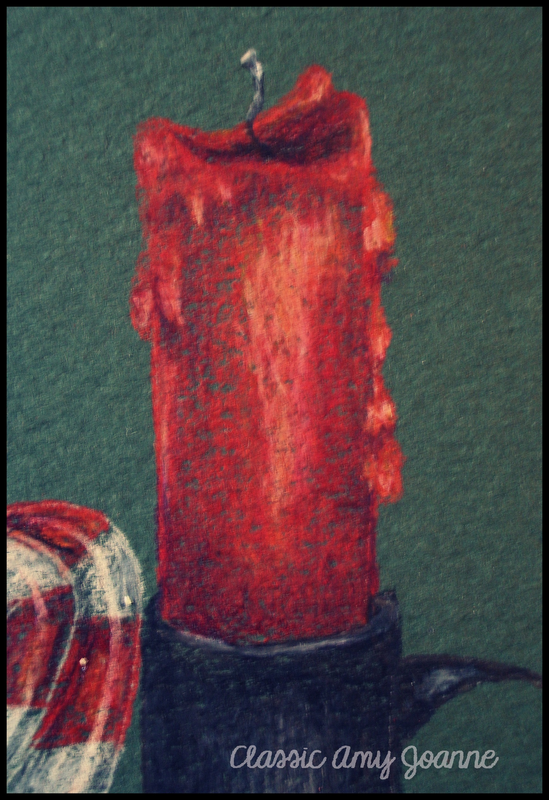 I even include details in my colored pencil designs, notice the drips and wick…it’s all there….details. Pay attention to details…whether it is creating a booth display, branding, designing or painting a pattern, setting a table for dinner or planting in your garden. What a wonderful post… Loved it, Keep the posts coming. It is becoming increasingly more important for everyone that loves painting to keep as many connections with those that share the love of painting. Thank you for the wonderful suggestions. It makes one to want to take our creative skills to a higher level. The thought process puts creativity into action. Yes, I believe details do make a difference. I love details myself and it is amazing how you can get absorbed in one little item. 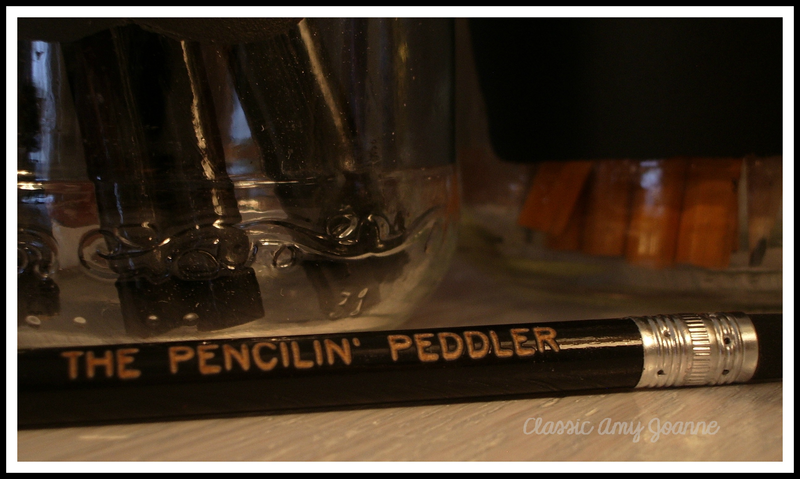 I have to laugh at myself while saying this because when looking at your name ” Pencilin’ Peddler”, I read it as “Penicillin Peddler”. Yup that “detail thing” just went right out the door!!! Love your work, Amy! Thanks Roxanne…sounds like you get wrapped up in the details too, gotta love it! !